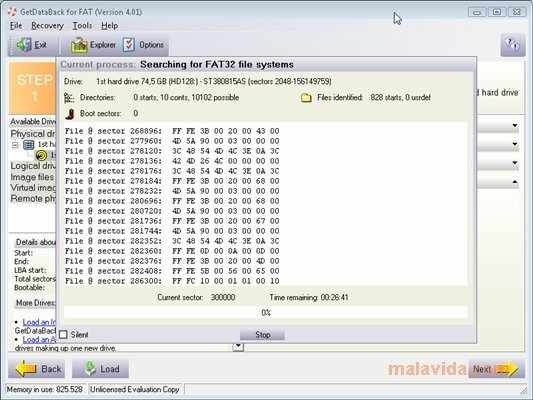 FAT, acronym of File Allocation Table, is a file system used to give format to hard drives and also external storage devices like Flash memories (pendrives and SD cards). Its main purpose is to organize and make sure the files stored on the hard drive are accessible. As a result of a virus, accidental deletion or hard drive formatting, part of the FAT system may be damaged (the boot sector, the partition table or a system directory), causing the loss of some or all of the data stored on the hard drive. 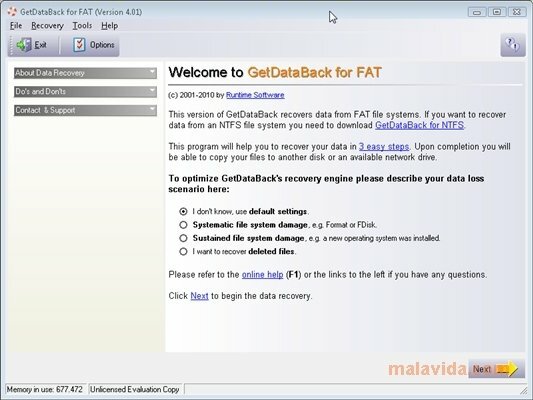 In these cases you can resort to GetDataBack for FAT, a simple application with which you'll be able to recover the files from any damaged hard drive that has been formatted using the FAT system. 2. After the application scans the hard drive, select the file system. 3. Recover the “lost” data. A good recommendation when it comes to recovering data is to choose a destination hard drive different to the one that we are scanning so as to avoid overwriting any data.